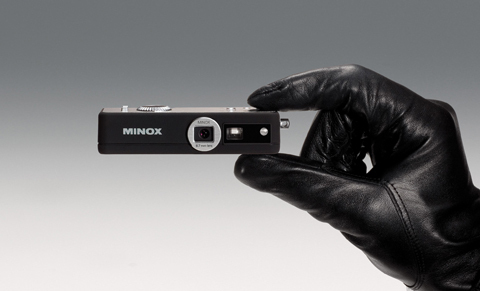 Spy camera maker Minox has set a price and released more details of its Digital Spy Camera (DSC) ahead of its world debut at next weeku2019s Photokina show in Germany. Spy camera maker Minox has set a price and released more details of its Digital Spy Camera (DSC) ahead of its world debut at next week?s Photokina show in Germany. 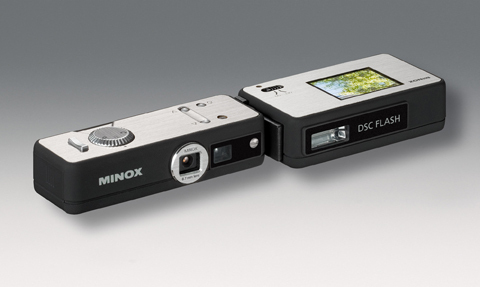 The Minox DSC is expected to go on sale at the end of this month priced £219, including a separate flash unit that attaches to the camera. The camera will carry a resolution of 5-million-pixels and measure 86x29x20mm. It will only be sold with the flash unit, and will not be available separately. The flash – dimensions of which have not yet been released ? will carry a 1.5in colour screen. ?The flash unit is activated automatically when attached to the DSC and used in poor light,? said a spokesman for Minox?s UK distributor, Newpro. The camera accepts Micro SD cards and will come in a kit that includes a leather case, a metal carrying chain, USB cable and manual. As we reported a few weeks ago, the camera is designed to be an ultra miniature ‘retro-style’ digital version of the 8x11mm film model, which became famous for its use by secret agents. Earlier this year Minox announced that the film models were coming to the end of their life.